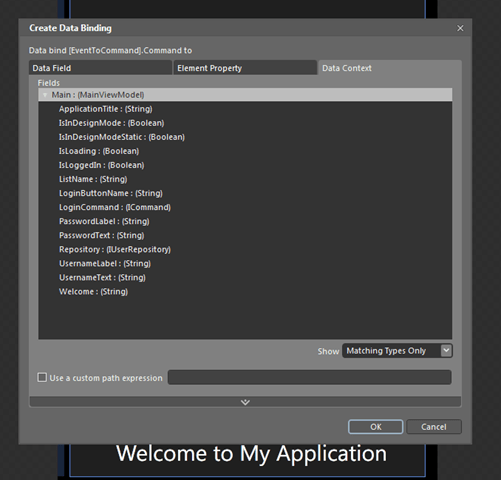 I am going to use Expression Blend 4 RC for this part of the post as I can work more quickly inside Blend – also you will need Microsoft Expression Blend Add-in Preview 2 for Windows Phone and Microsoft Expression Blend Software Development Kit Preview 2 for Windows Phone all of which can be downloaded here http://www.microsoft.com/expression/windowsphone/. First install and reference the assemblies here http://blog.galasoft.ch/archive/2010/04/03/mvvm-light-toolkit-v3-sp1-for-windows-phone-7.aspx as the Silverlight behaviors are not available in Blend without these. Open the Assets panel in Blend, click on behaviors – you should see the EventToCommand behavior. Drag EventToCommand out onto the Login button. 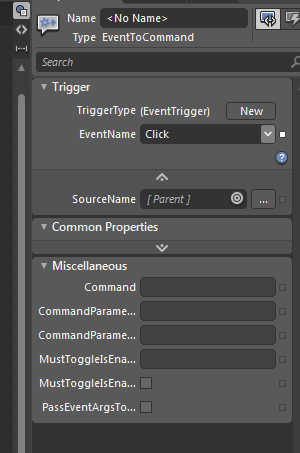 With the EventToCommand object selected in the Objects & Timelines view configure it via the properties pane. from here you can see all of the view model properties and can select the LoginCommand property to complete the data-binding….nice. Set the MustToggleIsEnabled to true as we want to automatically disable the button if the command is unavailable and also set the Event Name to Click if it isn’t already. and a similar one aimed at a password box. Once recompiled these will be available via the Assets panel in Blend and can be dragged onto the user name input and the password input boxes appropriately. Finally we get the required behaviour – if either username text box or the password box is empty the login button is disabled otherwise it is enabled as we type. So, that’s the basic user interface in place – next we move to the loading screen and the transition when logged in….